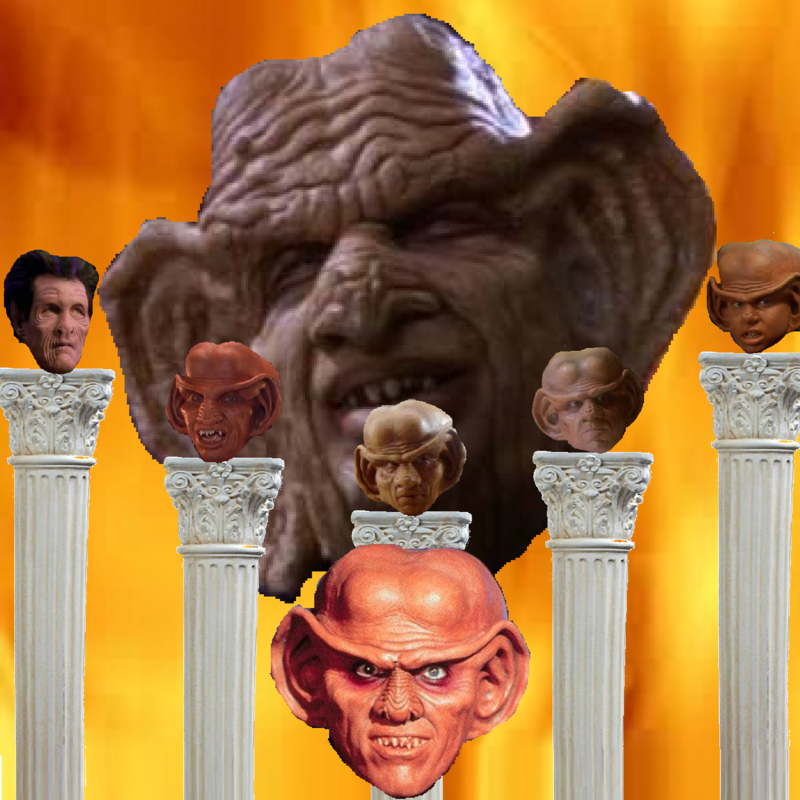 This week the gang is tackling DS9’s very first Ferengi episode, so you know what that means! That’s right, our resident space merchant expert Kregg Castillo joins us to meet The Nagus! The fun never stops us as Kregg enlightens us on the similarities and differences between early and later season Ferengi and the hidden connections between Star Trek, Ace Ventura, and The Running Man (that’s right, we’re talking about Arnold Schwarzenegger AGAIN), teaches the proper usage of the particle “an”, helps us answer his own gosh darn emails, and forms a morning zoo shock jock DJ show with Jack! Like frozen tube grubs, this podcast is surprisingly succulent!